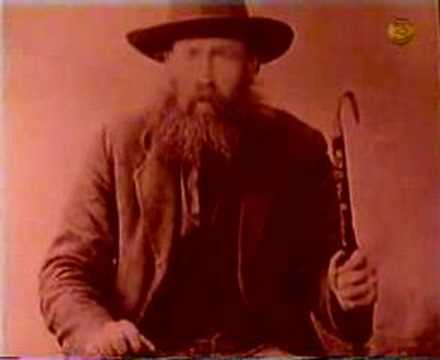 Nicolaas Pieter Johannes ("Niklaas" or "Siener") Janse van Rensburg (August 30, 1864 – March 11, 1926) was a Boer from the South African Republic - also known as the Transvaal Republic - and later a citizen of South Africa who was considered by some to be a prophet of the Boere (who are the smaller section of the language based macro group which became known as Afrikaners). 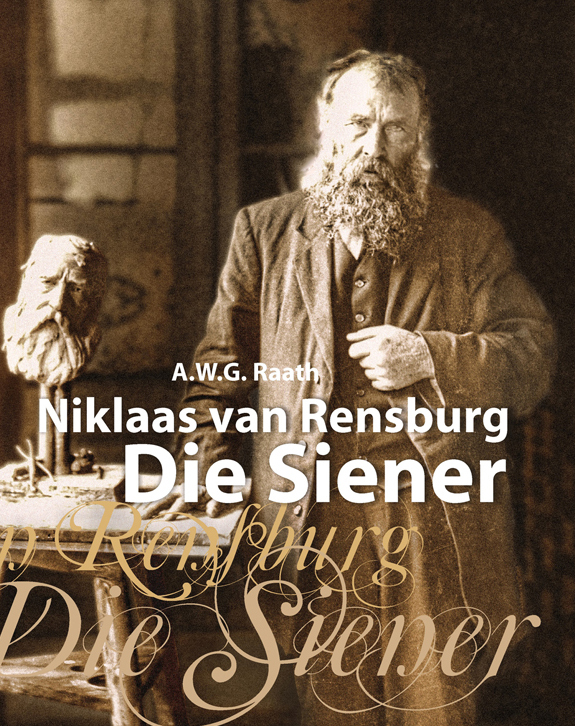 Consequently his nickname became Siener, which is Afrikaans for "seer" or "soothsayer". 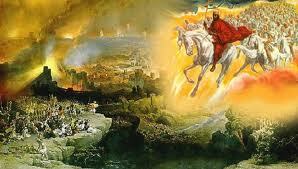 His seemingly accurate predictions of future events were typically wrapped in a patriotic, religious format. He only received 20 days of formal school training at the Rooipoort farm school, and spent much of his youth as a cattle herder. He could never write, but assisted by his mother learnt to read from the Bible. He never read anything else. At age 16 he participated in a government expedition against the rebellious tribal leader Mapog. He survived malaria acquired on the expedition and settled near Wolmaranstad in the then western ZAR. He was elected as elder for the Hervormde Kerk at age 21, possibly due to his scriptural knowledge. He married Anna Sophia Kruger in 1884. Following the encounter he was beset with a fear that wouldn't dissipate. When his disturbed state continued to their sojourn in Kimberley, his superiors sent him home. Experiencing no relief, he returned to the Siege of Kimberley, where a vision revealed to him the defeat and loss of life that the war would bring about.Shortly afterwards, possibly at Graspan, his disturbed state lifted permanently when a soldier was wounded on his side, as a vision revealed to him shortly before. Van Rensburg then travelled with general Piet Cronjé but escaped the encirclement by British forces at Paardeberg. Subsequently he travelled with different commandos, where a number of apparently accurate predictions established his reputation. A report of his visions attracted the attention of General de la Rey, who recruited Van Rensburg for his commando. On December 7, 1900, General de Wet found himself cornered against the Caledon River which was in flood, while British forces were assailing his position. 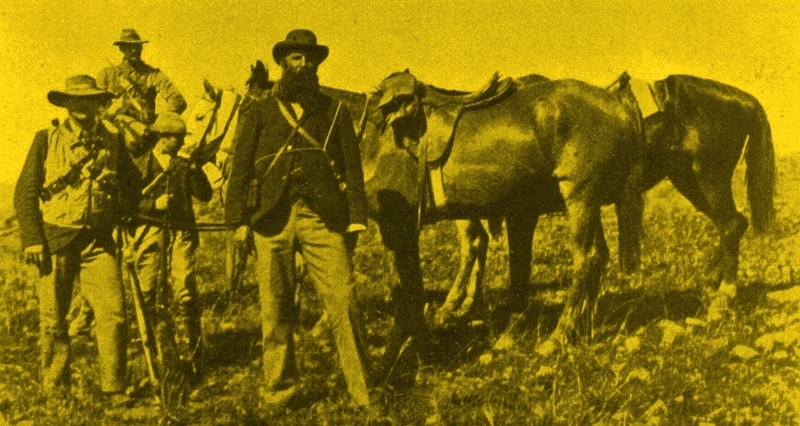 When his surrender appeared imminent, a message of De la Rey was delivered by a Boer scout. Van Rensburg had foreseen the situation and the message outlined an escape route, which was duly followed, leaving the pursuers to succumb in the torrent De Wet had just traversed.De la Rey, also hard pressed by his enemy, dispatched Van Rensburg to accompany President Steyn to Roodewal, De Wet's safe retreat in the northern Free State. 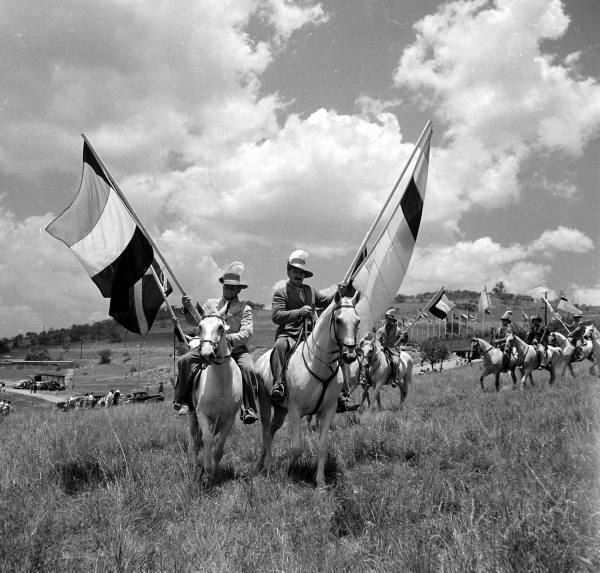 Here Van Rensburg advised them to wait upon two horsemen which he described, who arrived the next day with a message from acting President Schalk Burger. 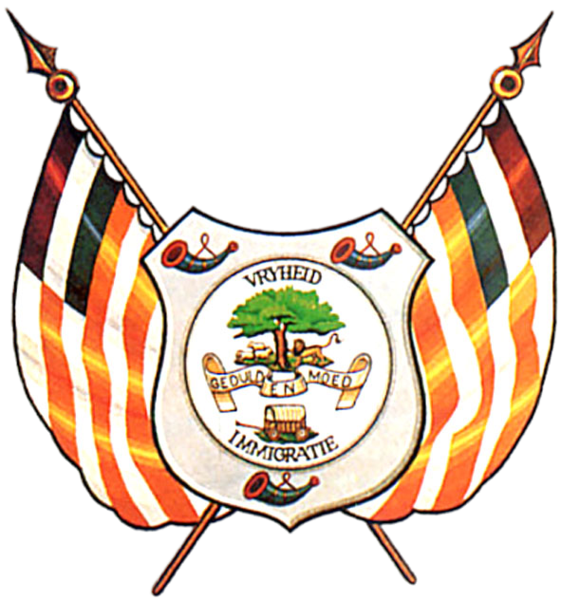 Van Rensburg was present when Commandant Van Aardt's company returned from the action at Yzerspruit on February 25, 1902. Van Aardt was despondent as his brother was missing in action but Van Rensburg assured him that he was neither dead nor captured, but alive though in great pain. The wounded soldier was returned to camp the same evening, carried on the horse of a burgher who found him. Before the Battle of Tweebosch, Van Rensburg gave a number of predictions indicating how the enemy would approach along the Harts River, and when he deemed them most vulnerable. He also envisaged how the victory would enhance De la Rey's reputation. Methuen's force collapsed in the face of De la Rey's sudden attack on March 7, 1902, and Methuen was captured. On March 17, 1902, President Steyn, in the company of De Wet and Hertzog, arrived at Zendelingsfontein, De la Rey's headquarters near Klerksdorp, to consult De la Rey's physician about an eye ailment. Van Rensburg was once again dispatched to guard the president. Around the 23rd he had a vision of English troops arriving, but the president was unwilling to heed his warning, until De la Rey intervened urgently on Van Rensburg's behalf. The president departed for the safety of the Molopo River on the evening of the 24th. British troops arrived at Zendelingsfontein during the early hours of the 25th and captured two of De la Rey's adjutants. 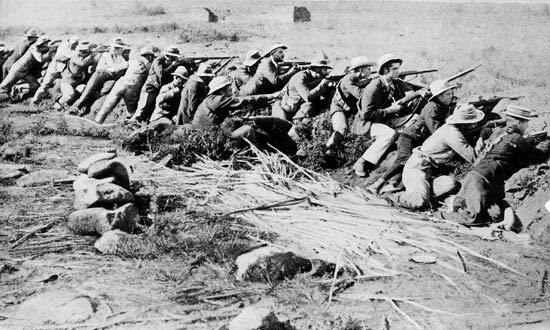 Gaining entry to General Kemp's war council in the bushveld region, he soon warned them against attacking a retreating enemy, which would leave them vulnerable to encirclement. At the subsequent Battle of Harts River on March 31, 1902, some British units did fall back, though some Canadians stood their ground until overpowered by burgher forces. Kemp, though partially or grudgingly heeding the seer's visions, was generally reluctant to give him credit. 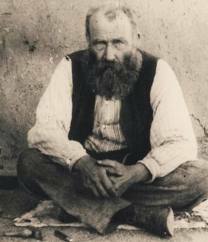 In January 1901 Van Rensburg had a vision indicating the flight of three Boer women, who were soon found and rescued by his host Willem Bosman. Days after rejoining De la Rey's commando he had visions of members of his own family being captured, and asked for leave to assist them. The Van Rensburg family fled from their farmhouse as English forces approached, but the wagon train carrying the elderly, women and neighbours was surprised and captured by traitors the following morning. Van Rensburg's parents, eldest daughter Hester and four younger children were subsequently interned at the Mafeking concentration camp. Van Rensburg, his wife, eldest son Willem and two daughters travelled with a group which managed to evade their pursuers, and Van Rensburg once again joined De la Rey's commando. 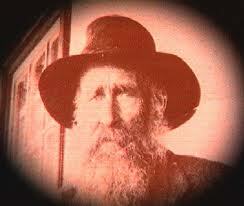 Upon meeting his wife again in mid October 1901, they found their farmhouse destroyed. Van Rensburg's ominous premonition concerning their daughters, Anna and Maria, was confirmed when news arrived that they and two relatives had died during an outbreak of measles in the concentration camp. 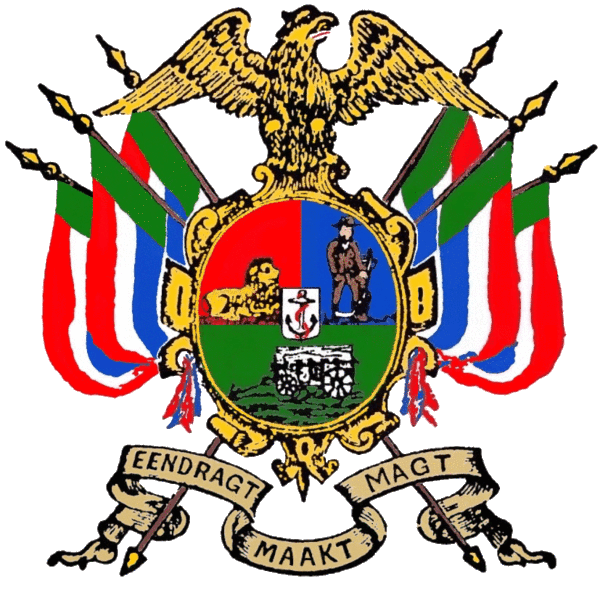 When the Union of South Africa came out in support of the Allied Powers in World War I, Van Rensburg allied with the rebels. The rebellion received a fatal blow even before it started, when the influential general Koos de la Rey was accidentally killed on September 15, 1914. De la Rey, when killed, was en route to General J.G.C. 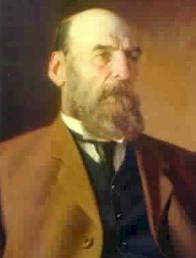 Kemp, who subsequently organised the rebellion in western Transvaal. On November 2, Kemp addressed a public meeting at Vleeskraal, near Schweizer-Reneke, with the locally influential Van Rensburg at his side. Van Rensburg also addressed the assembly, and assured them that his visions indicated they had little to fear. 610 men then joined the rebel cause, and with conscription imminent, the number of rebel volunteers grew to 1,800. General Kemp decided on a company of 720 men, mostly farmers, which included Van Rensburg and his son. They departed immediately on a journey to join Manie Maritz in German South-West Africa. After a desert trek and much hardship they linked up with Maritz's company on November 29. Rebels under De Wet and Beyers were rounded up by South African forces in the days that followed. With the outbreak of World War II, the collections of visions were considered inflammatory. Distribution was prohibited and some copies seized on orders of prime minister Jan Smuts. Upon Anna's death her hand written documents were transferred to Lichtenburg museum's archives, where they were rediscovered in 1991. The farm and van Rensburg family cemetery are located 11 km from Ottosdal, in the North West Province. 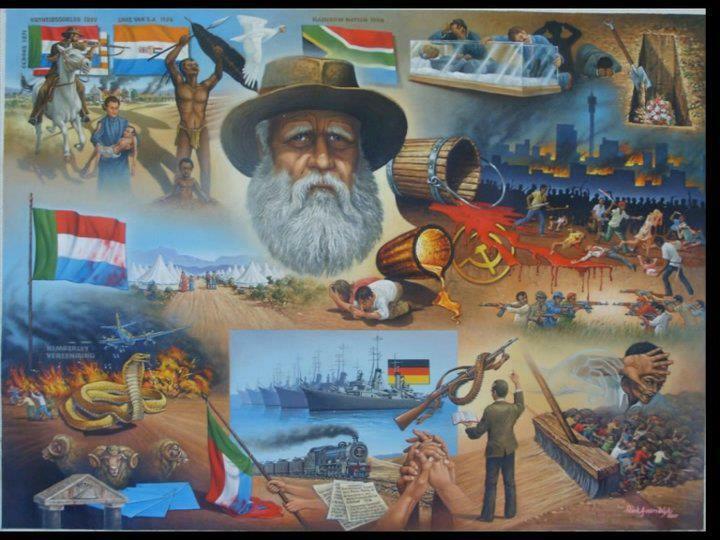 The nature of his visions invariably concerned the welfare of the Boere, the Netherlands and Germany, and were experienced by him as visual imagery to be interpreted afterwards. When the image of the sisal plant occurred in his visions, he for instance interpreted this as a portend of an important meeting, assembly or parliament. He is believed by some to have made many accurate predictions of local events, including foretelling the death of general Koos de la Reyand the political transition of South Africa after his own death. At times his visions also concerned international events, among which the start of World War Iand the rise of Communism.He was unable to interpret some of his own visions. 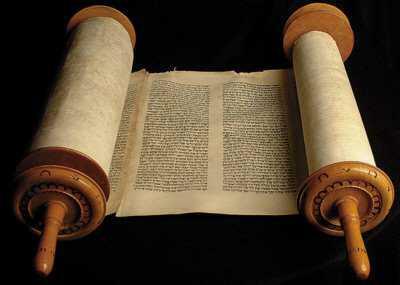 These, written down, are still open to interpretation, and believed by some to pertain to future events. 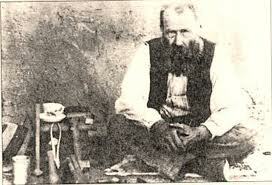 Boer soldier Deneys Reitz's account of the Boer War contains a colourful objective account of one of the seer's predictions (shortened):... a prophet, a strange character, with long flowing beard and wild fanatical eyes, who dreamed dreams and pretended to possess occult powers. I personally witnessed one of the lucky hits while we were congregated around the General's cart. General de la Rey opened it and said: Men, believe me, the proud enemy is humbled. The letter contained news that the English had proposed a peace conference. Coming immediately upon the prophecy, it was a dramatic moment and I was impressed, even though I suspected that van Rensburg had stage-managed the scene. Of the general's sincerity there could be no doubt as he firmly believed in the seer's predictions.